I’ve been pretty excited for the small amount of copic markers that I have. I like the color range that I’ve ended up with so far. They are all so soft and delicate. While playing around with them, this little gal appeared. 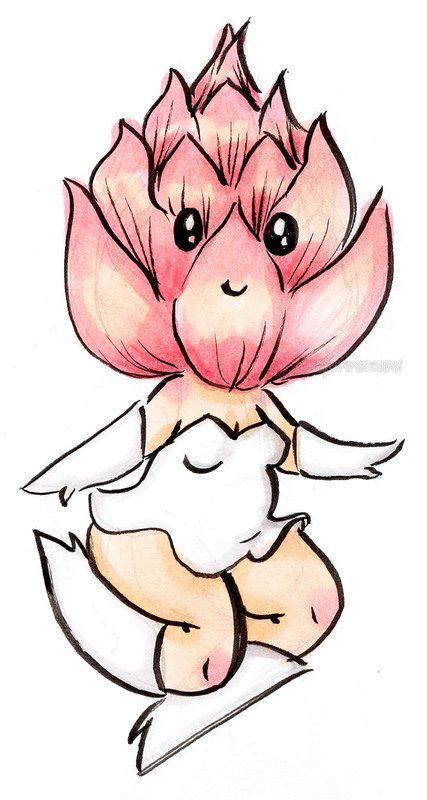 I wasn’t sure what she was until a friend of mine said she was a bit like a cutesy mandragora. I like that idea.